This is the Zingerman’s Cheese Passport I enjoy most. 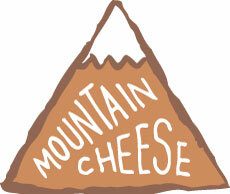 A collection of mountain cheeses is a ticket for taste bud travel I never tire of. I love cheeses like these. They’re often on my short list of favorites for their long aging and big, bold flavors. We’ll include wedges of three mountain cheeses: Antique Emmentaler from Switzerland, Piave Vecchie from Italy, and Comté from France. We'll send these examples of high-altitude craftsmanship along with either a box of artisan bread or crackers.